A statue of Dr. Martin Luther King Jr. stands in Rocky Mount, North Carolina. This article is by Jason Miller, NC State professor of English. 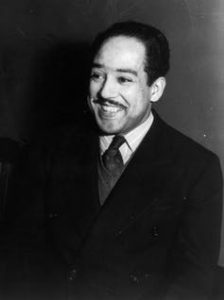 Miller has conducted extensive research into Martin Luther King’s speeches and the influences that helped inspire him. Just three weeks after the premiere of “A Raisin in the Sun,” King delivered one of his most personal sermons, giving it a title — “Shattered Dreams” – that echoed Hughes’ imagery.